This entry was posted in Accessions, Historical, Museum Visitors, Publications and tagged Accession, Bonsai Development, Bonsai Today, California Juniper, Ernie Kuo, Historical, Juniper by aarinpackard. Bookmark the permalink. Three days cross country! Not much sleep! The trees look great. I’m looking forward to more photos. Jim told me about these “presents” at Thursday’s BBS annual holiday party. I’m looking forward to seeing them today in person, as I attend Martha’s presentation on black pines at the Arboretum. The Tree on the left seems to have been all over the world! Here it is in 2005…in Taiwan! Petition, it’s an actual show in Taiwan. 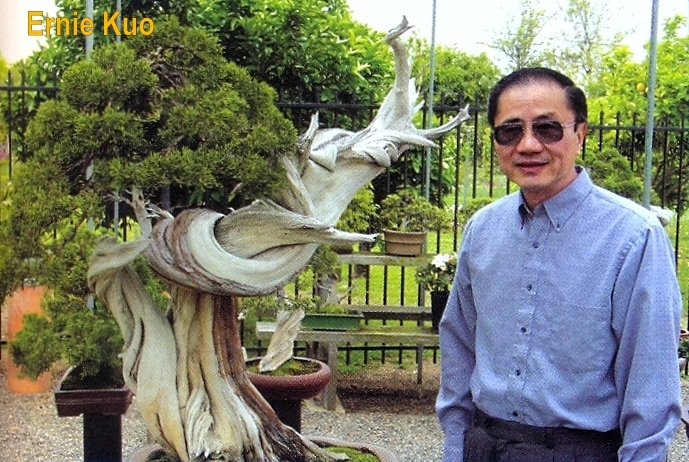 I believe Mr. Sze-Ern Kuos work was included in the booklet in 2004 and 2005 because of his ancestry. Though this is merely a guess on my part. The other bonsai in the exhibition booklet and gallery were actually shown, it seems Mr. Kuos work is the only included that wasnt present.